Awhile back I moved my professional blog, “Kim’s Technology Treasure Chest”, to my personal domain at http://kimcaise.com. I do hope you will make the switch to the newer blog if you haven’t already done so and follow my blog posts there. I am still receiving comments here so I wanted to reiterate the location of my blog’s new home. Hope to see you there soon! I am only sharing this here as many people have not made the change to my new blog at http://kimcaise.com. Please change your RSS reader or bookmarks to reflect the new link instead of this link here for this blog. Today, December 2nd, at midnight EST is the last day to nominate a blog/site for the Edublog Awards (#eddies11). Our webinar series, Classroom 2.0 LIVE, was nominated last year and we won first runner up and were greatly honored to be nominated and to have won among some stiff competitors. The Edublog Awards is a fun ‘competition’ and some take it to extremes and complain and favoritism but I enjoy finding out about new blogs. Best Ed Tech/Resource Sharing Blog – Kim’s Technology Treasure Chest by Heather Davis who is currently in Canada but was recently in Beijing, China working at an international school. You can read about her adventures on her blog here. I have always wished I was brave enough to live overseas to teach at an international school. My blogs has gone through change after change and evolved over the years and am so honored and thrilled beyond words that I was nominated so thank you Heather. So on, with my nominees. On this day of giving thanks, I was reminded of the many blessings I have in my life. I was also reminded that I had not completed the drawing for the Amazon gift card for new or subscribers moving from my old blog to this blog with me. 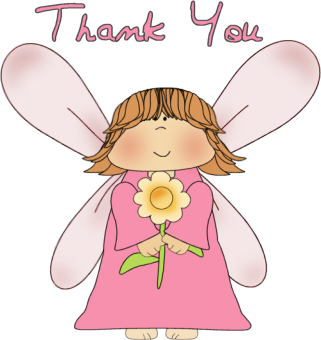 I want to thank all of you so much for making the switch to the new blog with me regardless of whether you subscribed or just follow and read my blog posts via Twitter/Plurk/Facebook. Thank you to the new subscribers that recently discovered this blog as well. With health and family issues, I haven’t blogged as much as I would have liked and I truly hope this lapse hasn’t disappointed anyone. So on this day of giving thanks, I want to extend a special thank you to Peggy, Lorna, Steve, Miguel, my sister, my nieces, and especially my hubby-Marty, for being such an integral, important and special part of my life online and offline. Be sure to follow me over at the new blog at: http://kimcaise.com. 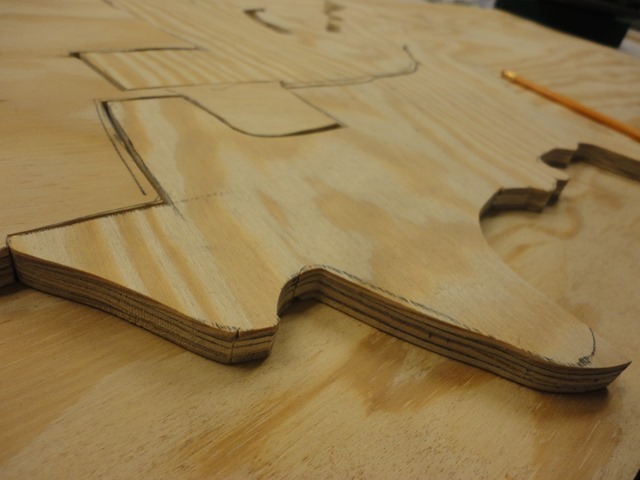 This will be a final blog post here at this blog. Thank you for a wonderful learning experience. Changing RSS feeds can be a real pain and inconvenience. To ease any inconvenience for changing RSS feeds to the new blog, I am going to offer all subscribers to the new blog, “Kim’s Technology Treasure Chest”, at http://kimcaise.com an opportunity to win an Amazon gift card! No strings attached – just subscribe to the new blog and leave a message in the comment section below the linked post at new blog post so I will know you subscribed 0r re-subscribed. One random winner will be chosen on November 6, 2011 and notified via email so make sure you leave that information in your comment. Thanks for making this move with me and be sure to click on the pink RSS feed icon or subscribe via email from the new blog and good luck to you! I received an email from Brainshark today announcing they have developed a new app that will display PowerPoint (PPT) presentations on the iPad. After you sign up for a free account, you upload the PPT file to the Slideshark website and it converts it into a file that is viewable on the iPad. Slideshark is an alternative to saving a PPT file as a PDF, converting it to a Keynote file, or saving the slides as images. With SlideShark you can view and show PowerPoint presentations on your iPad – the way they were meant to be seen. It’s easy to use, powerful, professional, and – best of all – free! SlideShark is the one and only app you can use to accurately and professionally show PowerPoint presentations on an iPad. While the app is optimized for PowerPoint, there are a few features that are not currently supported. These include: hyperlinks on slides, embedded videos or animated gifs, slide transitions, triggers, and 3rd party components. There are also some advanced PowerPoint animations that may not be supported. If you are looking for an alternative to Keynote to view PPT files on the iPad when speaking or presenting this may be just the thing you have been searching for. With the small amount of space available for uploaded presentations I am not sure how useful this app will be. The app is compatible with devices to project on a TV or screen and you do not need an internet connection to view the PPT file downloaded to the iPad. Feel free to leave a comment below with your opinion on this app once you have used the app. 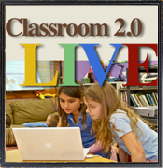 Classroom 2.0 LIVE! will return this Saturday after a brief hiatus for October due to health reasons for each of the co-hosts. We are excited to return this Saturday at our regularly scheduled time of 12pm ET/11am CT/10am MT/9am PT. We appreciate all of the wonderful comments, emails and best wishes from our friends and colleagues while we were on hiatus. 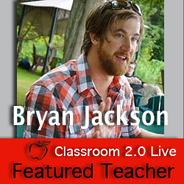 Tagged #liveclass20, classroom 2.0 live!